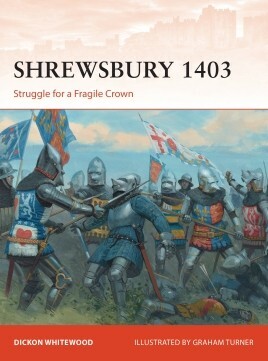 Book Review: Shrewsbury 1403 by Dickon Whitewood. First of all I’m going to direct your attention to the author’s name. Dickon (of) Whitewood, could there be a better name for a medievalist? Dickon itself being a medieval nickname for Richard. Add to that the peerless skills of expert artist Graham Turner and I was already pleased with this campaign book before I read a word. Because they are short and highly illustrated, Osprey Books don’t need to be particularly well written to be good, they need only to convey concise, detailed information. But this conventionally formatted Osprey title has a distinctive feel for the time, inserting excellent quotes from contemporary sources, and retelling the history of the campaign through it’s primary sources in a logical and fresh way. Certainly in terms of military and political significance this battle served as a potent punctuation mark in the history of medieval England. It altered the balance of power amongst the aristocracy of the realm and it solidified the massed use of long-bowmen, already proven in combat in Wales and Scotland, as a battle altering formula. Pitting the powerful Percy family (an original family of King-Makers), allied with their arch foes the Douglas’, and attempting to join forces with the Welsh, agains King Henry IV, whom the Percy’s feared was attempting to undermine them. A sudden march south saw the Rebels gather large numbers to their banner, but an audacious royal advance caught them at Shrewsbury before they could unite their forces fully. What followed was a model of many 15th century battles to come. A dependence on bowmen and dismounted knights and a focus on capturing or killing the enemy leader would be a key part of both side’s strategy. 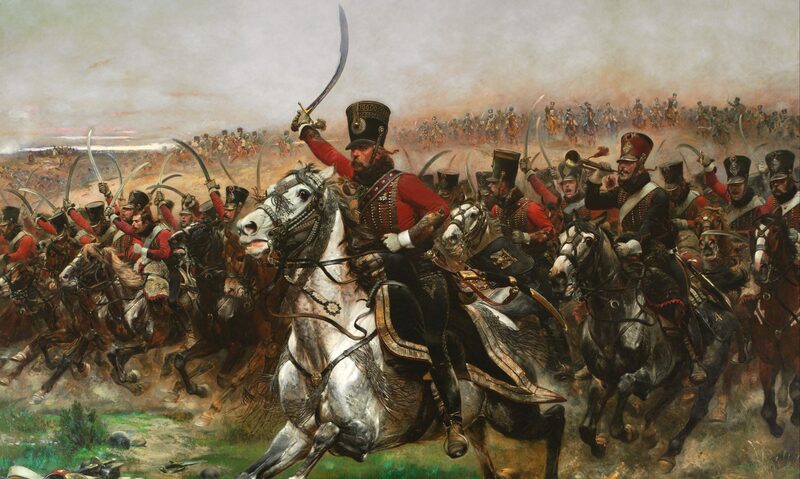 The battle was large, costly but comparatively short. Both commanders and their high ranking supporters were in the thick of the fighting, here Prince Henry (Future Henry V) was wounded by an arrow, requiring dangerous major surgery to remove the shaft and barb from his face, and here Hotspur died. In the marvellously rich language of medieval England the battle began with: “The notes of furie, the sounds of slaughter, the harmonie of hell: trumpettes, fifes, drumms, musicke sutable to the mirth at hand.” was there ever a more superb or poetic description of he beginning of a battle? The power of the bow en masse was demonstrated with great effectiveness at this battle, but interestingly although it seems Hotspur’s Cheshire archers did inflict more damage than the King’s it was the Percy’s that surrendered the field. All of the colour plates in this book are excellent, the one of the Earl of Douglas is perhaps akin to the one painted in the campaign book about Poitiers but Turner has interpreted the subject matter into three original and excellently detailed compositions. This book sheds light not only onto an important moment in the history of medieval Britain but also on the military background of Henry V. It will be a welcome addition to any medieval military shelf.